Looking for a uniquely inspired Ceremony? One that’s different from all the rest? 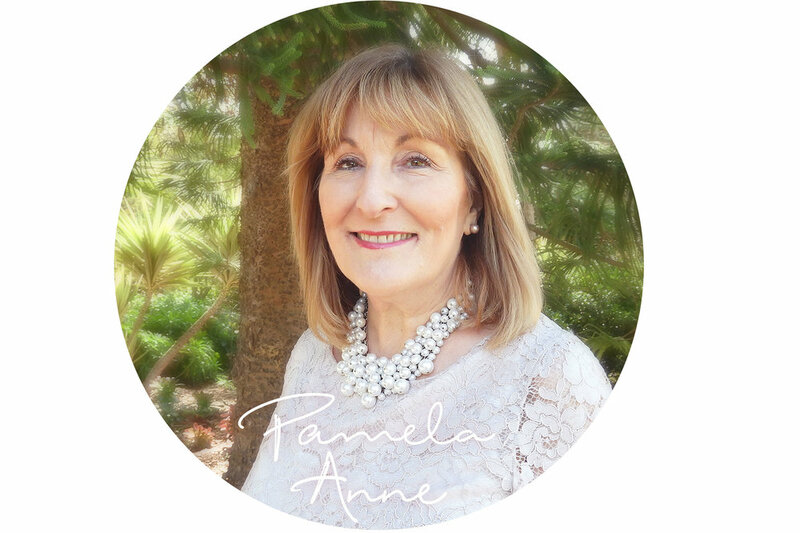 I'm Pamela Anne, and I’d love to chat to you about your dreams and wishes for your special ceremony. I am committed to uniqueness and capturing lifelong memories for all occasions. If you are looking for a Celebrant that's a little bit different, professional, soulful, and easy to collaborate with, then we should definitely talk. A marriage ceremony is a show of love and the formal step in creating your happily ever-after. Whatever ceremony you choose, be it a glamorous affair witnessed by family and friends, an intimate one, or even an elopement, it would be an extraordinary privilege to work with you to create something that is totally unique to you. "...the best love is the kind that awakens the soul; that makes us reach for more, that plants the fire in our hearts and brings peace to our minds." Ceremonies that truly honour a person for who they were, and ones that allow loved ones to embrace their loss and sadness while assisting with the transition from bereavement to acceptance is a fine and sensitive art. Choosing a Celebrant that has this attribute and the sensitivity and compassion to deliver such a service is a vital component for any loss service. 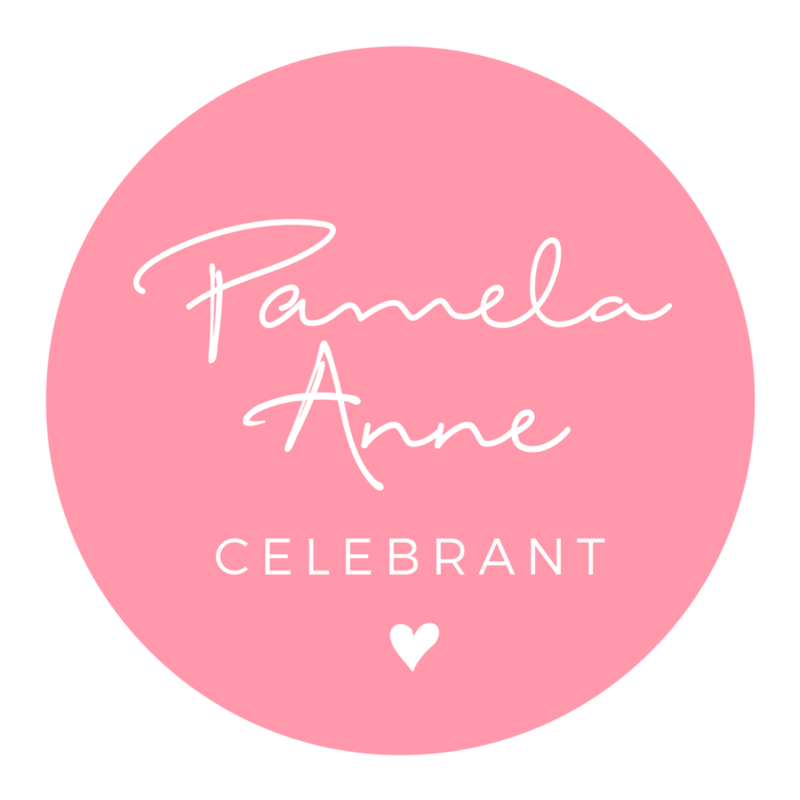 Pamela Anne is often called to do a variety of other ceremonies, including Baby Naming Ceremonies, Graduations and Special Anniversary events. If you don't see information on the site about your specific event, get in touch! I'm sure I can help make it an event to remember. A look through some of the beautiful photos shared from recent ceremonies. Feel the love and gain inspiration for your own upcoming ceremony. I feel so incredibly fortunate to be able to do what I do for a living; to share the special moments in people's lives. Giving back is a way for me to express my gratitude, so 10% of my service fees are happily donated to White Ribbon Australia, or a charity of your choice.